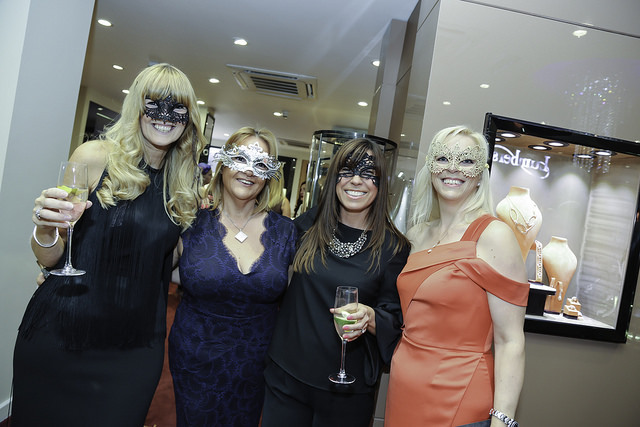 The Shimmering Masquerade Dinner took place at Lumbers Jewellers in Leicester in support of local charity Alex’s Wish. The event was attended by over 70 guests who were entertained by the pianist Lola from Leicester University who kindly donated her services for the evening and Creative Team Events with their Crashing Waiters. James Blick and The Finesse Collection Hospitality & Events provided sumptuous food and gin cocktails were supplied by Two Birds Spirits. Lumbers Jewellers opened up their venue for the night and displayed some stunning jewellery to guests throughout the evening. Guest bought and wore celebrity face masks, with all proceeds going toward Alex’s Wish. 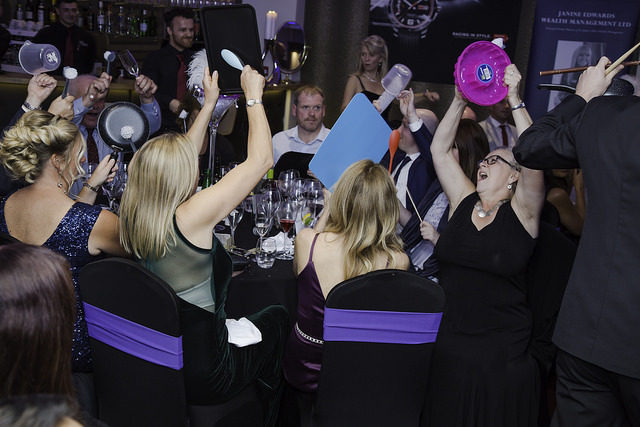 At the end of the evening we had a very exciting countdown of the celebrity faces on our screens and the final winner was the lucky recipient of a fabulous diamond necklace, kindly donated by Dominic Gomersall of Lumbers Jewellers. 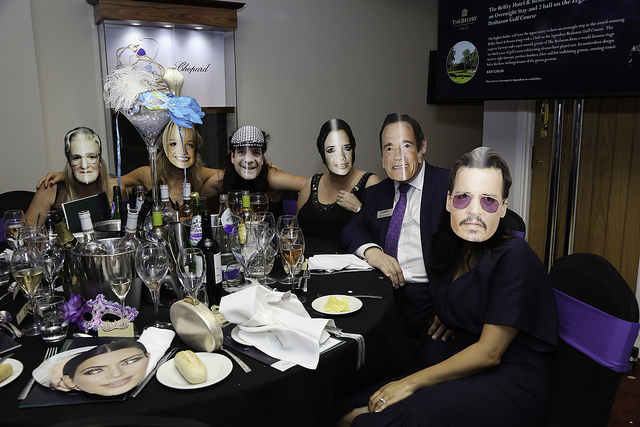 Emma Hallam, founder of Alex’s Wish spoke about the event saying, “We were thrilled to receive the news that one of our Platinum Business Partners Janine Edwards Wealth Management were going to put on a Masquerade Dinner to raise vital funds for us. Janine Edwards and Susie Lowell of Janine Edwards Wealth Management took care of everything, sponsored the entertainment, sourced the fabulous auction prizes and invited guests. We cannot thank them enough for this fabulous evening which not only assisted with vital awareness for our cause and our charity, but which also raised an incredible £10,165. All the photo’s of the event can be found here.